Dr. John was not only born on the bayou; he is the bayou. A true New Orleans performer, Dr. John has combined funk, jazz, and boogie woogie blues with zydeco, the unique form of Creole rhythm and blues, for more than 50 years, and after more than 20 albums that have traversed decades of musical history, this true mountain of a performer is still at his finest. It’s not every day a musical legend stumbles into a venue a stone’s throw away from your place of residence, but last night Dr. John and his vivacious Nite Trippers played to an effervescent crowd at The Space in Westbury, a quaint venue in the town of Westbury, NY. From the set-up, classic Hamlet-skull over a draped cloth on the piano, the crowd knew it was in for a night of inspired New Orleans tunes. And, from the first notes of vivacious band leader Sarah Morrow’s potent trombone, it was clear the night would be a good one. Dr. John grew up in the Third Ward in a musical family. He grew up inspired by Jazz and Blues musicians who he heard in his father’s record shop. When he was a teen he met legendary New Orleans blues singer and pianist Professor Longhair, whose zany dress and passion inspired Dr. John who quickly learned how to play and soon after took on the persona of Dr. John, taking the name from a Hoodoo guy he read about. 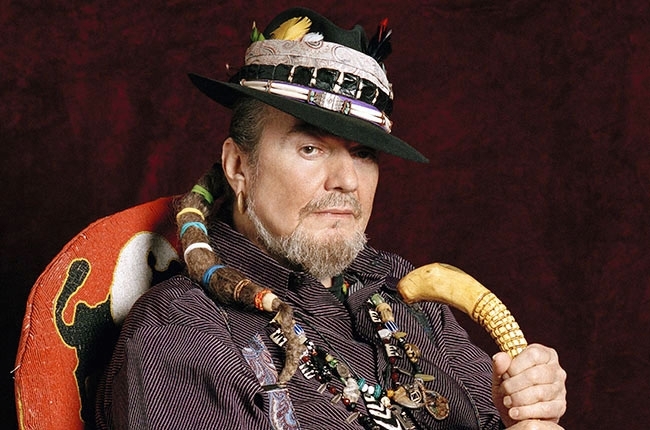 Fit with his New Orleans flair, he started performing a blend of genres under the persona of Dr. John, The Night Tripper, and he quickly found success with albums like Gris-Gris, a 1968 release that propagated the New Orleans R&B Voodoo-style that Dr. John became known for in all of his future releases. A long collaboration with Doc Pomus and several contributions to other artist’s releases has placed him in the upper echelon of legendary performers, and, last night, he proved why. The concert featured everything you could expect from a Dr. John show. His elegant flair permeated through his brown/orange suit, his recognizable snake-cane, and his colorful hat. His growly vocals and skillful tickling of the ivories and occasional guitar stylings invigorated the crowd who danced with each bluesy piece. The four-piece band (guitar, drums, bass, and trombone) surrounding Dr. John was adept and bouyant; the stand-out was the jaunty, knee-bending trombone stylings of Morrow, who played with an intensity that pumped up the crowd and band. The highlights of the night were some of Dr. John’s biggest hits (“Right Place, Wrong Time”, his cover of “Iko, Iko”, “Such a Night”) which he played with his classic, raspy voice that is most reminiscent of a particularly suave Van Morrison. My pick from the night was his cover of “Goodnight, Irene,” which turns a slow, blues staple (by Leadbelly) into a rollicky song that glides with ardor. Here is Dr. John performing it in 2011. If you have a chance, go see Dr. John! Check out his tour schedule here. Great post!! Sorry I missed the concert.